Grace - FlameHorse - equine art, sculpture, jewelry and fused glass. 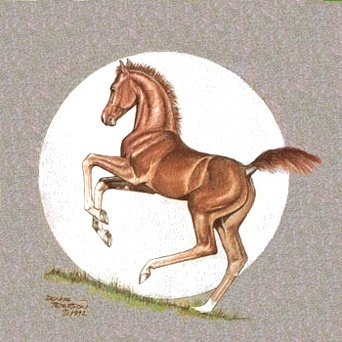 This print is one of a set of colored pencil drawings done to benefit the World Morgan Futurity. Produced from the original colored pencil portrait, the signed and numbered prints went very quickly and are no longer available. This print is part of the open edition and is not available signed.